Mudsock Quilters Guild (MQG) is a not-for-profit organization designed to bring people together with a love of quilting. We encourage camaraderie, learning from one another, and educational opportunities led by quilting experts. 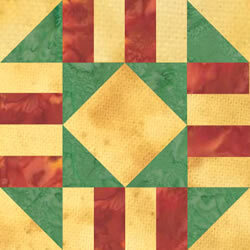 We also promote philanthropy by participating in various charity quilt programs. The first official meeting of the Mudsock Quilters Guild was held on September 12, 2011. Eight ladies formed the “start-up” committee: Rosie Antonides, Donna Case, Annie Gianaris, Barb Lucas, Carolynn Mariott, Ellizabeth Meek, Cindy Reynolds, and Liz Rott. The very first speaker was Marlene Rock, owner of Needle & Thread quilt shop in Valparaiso, Indiana. Today we have over 100 members on the roll which is quite astounding! Recently several members took a delightful bus trip to visit several quilt shops in Missouri. We were fortunate to get this photo of our first six presidents all gathered in one place! From left to right, meet Marion Newell, Debbie Cobb, Joanne Fishburn, Pat Adams, Val Angove and Sandy Metzger. Would you like to learn more about our history? Check out our Newsletter archives. On our first anniversary, in September 2012, Marion Newell, our first guild president, asked for a volunteer to work on a Mudsock Quilt Guild (MQG) logo. Susie Wetzel volunteered and asked for sample submissions at the December meeting. There were three designs from which to choose. We voted on our guild logo in January 2013. Rust – for “Mudsock,” the original name of this area now known as Fishers. It referred to the sticky brown mud found in all the fields. It was rumored that “The mud was so sticky it could pull the socks, right off your feet! The logo was first used on our May 2013 newsletter, and Marion was one of the first to use our logo as her name tag. Susie created a pattern of the selected logo in multiple sizes. You may use it to create your name tag, if you choose. You can download the pattern here. Mudsock Logo Pins are available for purchase at the meetings for $5.00 each. Be sure to get one while they last!